Sekiro: Shadows Die Twice launched last week, and on PC it’s a bit of a good news, bad news situation. 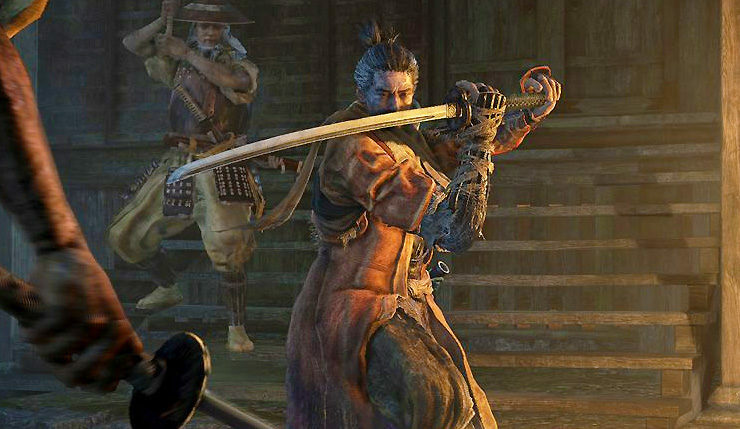 Sekiro is certainly selling well on PC, in fact it’s the biggest Steam PC launch of 2019 so far, but some players are reporting nasty save file corruption issues on the platform. Let’s focus on the positive first. While we don’t have exact sales numbers, since launching, Sekiro: Shadows Die Twice has been hovering around 125,000 concurrent users on Steam. By comparison, Steam’s second biggest launch of the 2019 thus far, Devil May Cry 5, peaked at around 88,000 concurrent users. Not bad, and particularly impressive given Sekiro launched without Denuvo or any other kind of serious anti-piracy protection. Turns out that stuff isn’t that important when you make a good game people feel motivated to support. Unfortunately, Sekiro’s PC launch hasn’t gone entirely smoothly. This weekend a number of users on Steam, Reddit, and other forums have reported losing their save files. That’s a particularly harsh blow considering how hard-won ever bit of progress is in Sekiro. Apparently, save file corruption is happening after crashes or when people don’t back out of the game properly. So, make sure to always quit to the main menu and then the desktop, and back up your save file when you can. Neither Activision or From Software have issued a official response to the save file issue yet. In other news, fans have already released a mod for Sekiro that unlocks the game’s framerate, enables custom FOV and more.